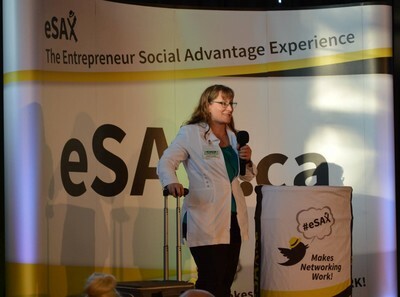 ​Sylvie Demers is an optician offering mobile optical services in the Greater Ottawa region. Has this ever happened to you? It’s 8pm and you sit on your glasses? Of course you favourite optometrist office is closed since 6pm AND you have an early morning meeting? I’m Sylvie, founder and owner of Mobile Optician Services d’Opticien Mobile. I provide bilingual, optical services in the comfort of your home or business. The tools, accessories and eyeglass frames all fit in my handy dandy suitcases which allows me to bring the store to you. I’m the visual equivalent of your friendly neighborhood pharmacist. As a insured, licensed professional, registered with the College of Opticians of Ontario, I take pride in filling your eyeglass prescription and give you the proper eyewear that fits your needs. So, how do I, as a Mobile Optician, benefit you or your business? Mobile Optician Services can help your business save time and money. No longer will your employees need to take time off from work to get their glasses fixed. I come to your office at your convenience. While there, I can also evaluate the employees, during their everyday tasks, to ensure they have the proper eyewear which in turn will help increase their productivity. From the convenience of your home I can provide quality, personalized service, customizing your eyewear to fit your busy lifestyle. This benefits everyone from parents with small children, to seniors as well as persons with disabilities. Want more information? Call, email, text or fill out our contact form. Thank you for your stopping by and I’ll be seeing YOU around town! 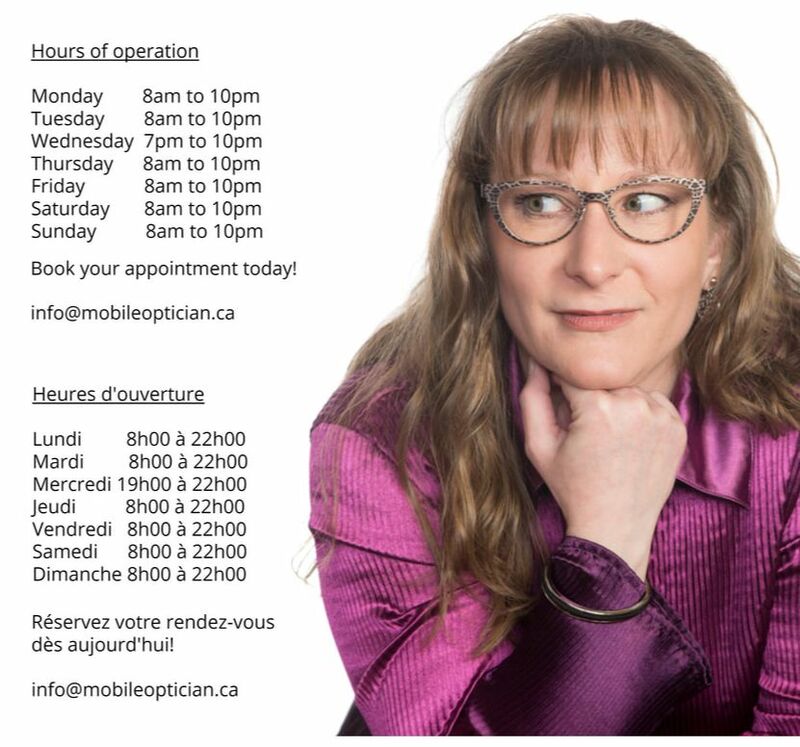 Sylvie Demers est une opticienne qui offre des services d'optique mobile dans la grande région d'Ottawa. "Sylvie goes out of her way to assist those with glasses and even those who don't! My husband's glasses were constantly falling off his face and with a quick fix and rub of her cleaning cloth he was on his way to see one of the most spectacular shows in Ottawa. You can't get any more passionate or knowledgeable than that! Thank you so much Mobile Optician Services!" "Sylvie is extremely passionate about helping people look their best. She knows the industry inside-out and is always going out of her way to assist everyone she meets. If you or anyone you know wears glasses or has any questions about eyes, give her a shout and be treated with some of the best customer service you've ever had!!"